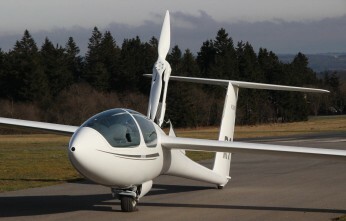 After the ASG 32 Mi, the EASA has now also type certifiated the Open Class self-launching ASH 30 Mi two-seater. 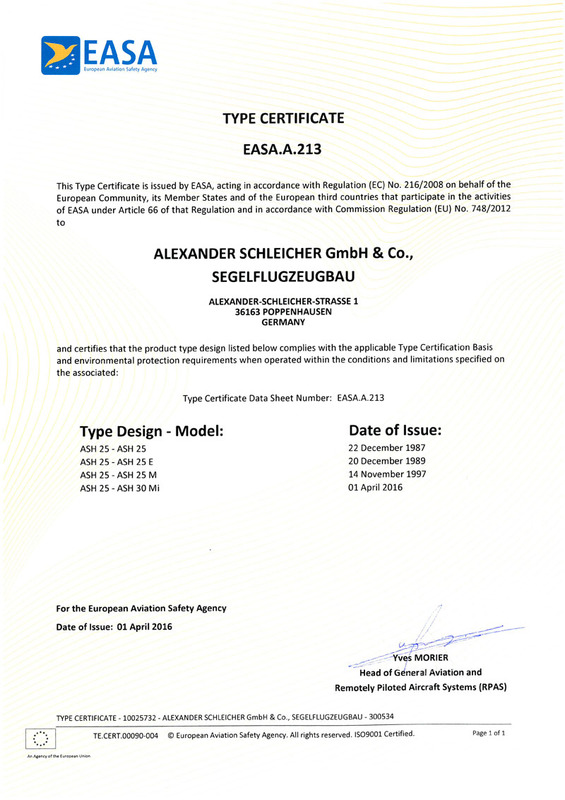 With the completion of last years extensive test flight program and all the necessary documentation and manuals, designer and project leader Martin Heide was finally able to accept the ASH 30 Mi type certificate. As a follow-up to the very successful ASH 25, the ASH 30 Mi is a completely new development. This new self-lauch capable Open Class two-seater with a wingspan of 26.5 m has distinctly higher overall performance and safety advantages over its predecessor. The re-designed cockpit and automatic connections for all controls are only part of the overall safety concept. With the extra cockpit space providing seating space similar to a comfortable single seater cockpit, even very long flights become pure enjoyment. 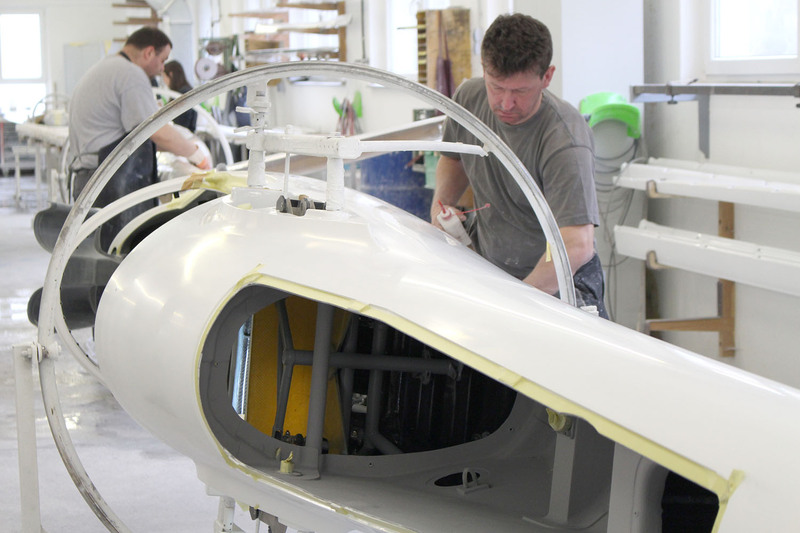 The construction of completely new production moulds permitted the employment of the latest airfoil technology for the ASH 30 Mi. 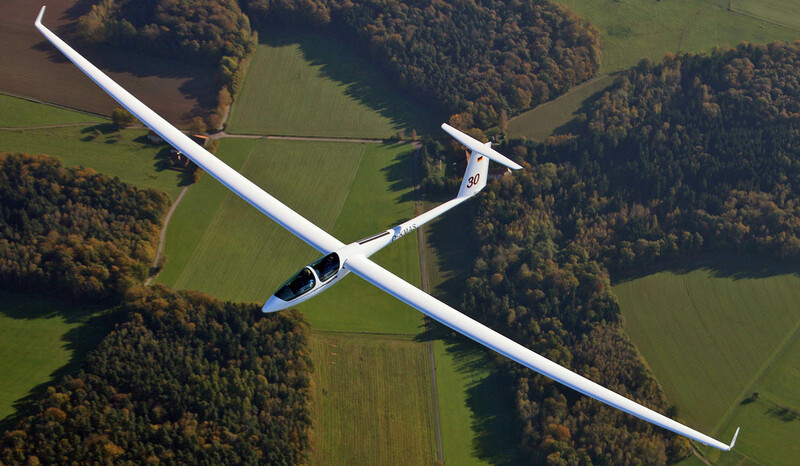 The specially developed wing and tail profiles give the ASH 30 Mi outstanding glide performance, flying characteristics and thermal sensitivity. 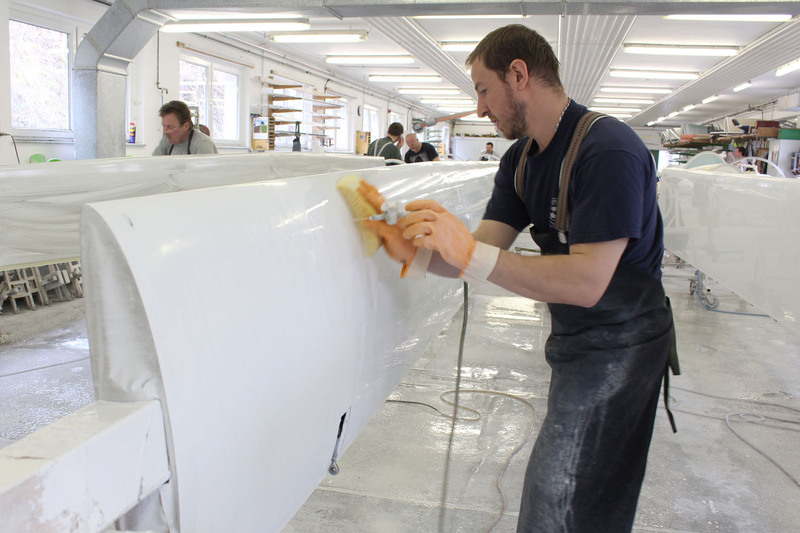 The powerful and reliable Schleicher propulsion system with its specially developed propeller – also built by Schleicher – provides a significantly expanded operational spectrum for the ASH 30 Mi. High reliability, low noise levels and almost vibration free operation are hallmarks of this Wankel engine driven system. At the same time much emphasis was placed on having simple and easily managed engine controls and operation, also from the rear cockpit. ...included as a standard feature. 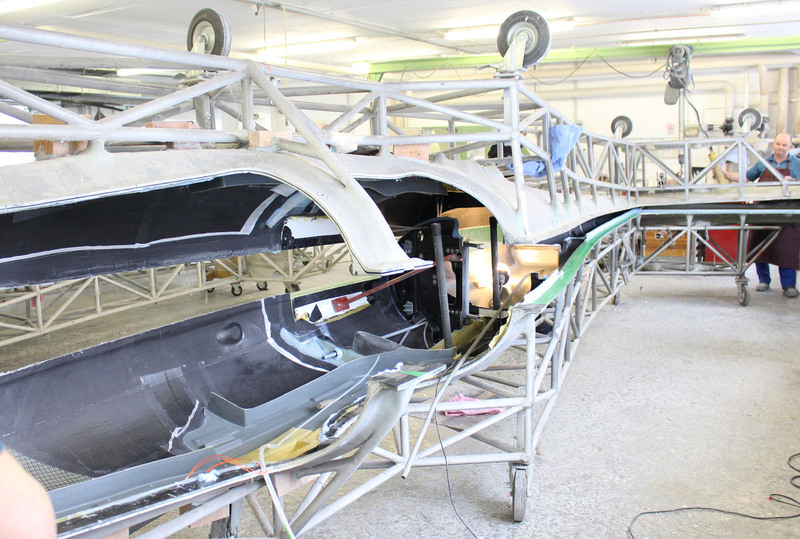 Bonding of the fuselage halves.